The CQRM certification includes 4-Day intensive Integrated Risk Analysis workshop, complete the requisite in-class work in Risk Identification, Modelling and Simulation, Integrated Risk Management Process, Analytical Tools, Optimization, Forecasting, Real Options Analysis, and obtain the fully-accredited Certified in Quantitative Risk Management (CQRM) designation offered by the International Institute of Professional Education and Research (IIPER). 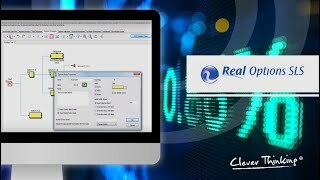 Comprehensive software suite for protecting and encrypting models, implementing decision trees, analysing and implementing probability distribution functions, and valuing simple options and exotic options to commodities, futures, risk-return profiles of asset portfolios. Global Project Economics Analysis Tool (G-PEAT) is an IT solution developed to perform a comprehensive Integrated Risk Management analysis on Corporate Investments and Financial Strategies. This tool helps companies to set up a series of projects or investment options, model their cash flows, simulate their risks, run advanced risk simulations, perform business intelligence analytics, run forecasting, optimise investment portfolios, and generate automated reports and charts, all within a single easy-to-use integrated software suite. 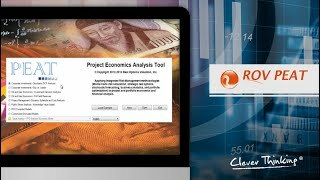 Project Economics Analysis Tool (PEAT) is an IT solution developed to perform a comprehensive Integrated Risk Management analysis on Corporate Investments and Financial Strategies. This tool helps companies to set up a series of projects or investment options, model their cash flows, simulate their risks, run advanced risk simulations, perform business intelligence analytics, run forecasts, optimise investment portfolios, and generate automated reports and charts, all within a single easy-to-use integrated software suite. Implementing scenario analysis and dynamic sensitivity analysis on cash flow statements of multiple projects and key performance indicators and financial metrics (NPV, IRR, MIRR, PP, DPP, ROI, and so forth), and simultaneously comparing multiple projects within a portfolio. 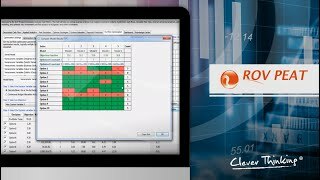 Set Monte Carlo Risk simulation input assumptions, run and view simulation results, compare and overlay simulation results, run analysis of alternatives, and perform dynamic sensitivity. 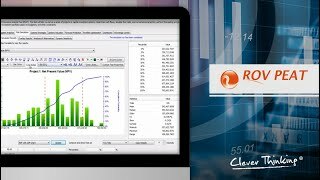 methods include run simulations on 50 probability distributions, confidence and percentiles of simulated results, probabilities of success and failures, Value at Risk, risk-adjusted returns, probabilistic overlay and comparison of multiple options and investment strategies, and dynamic sensitivity of results. Performing, modelling and valuing Strategic Real Options and Financial Options. Methods include Customized American, Bermudan, and European Options on Abandonment, Contraction, Expansion, and Multiple Phased Complex Sequential Compound Options coupled with Monte Carlo Risk Simulation and Dynamic Sensitivities. The Knowledge Centre (Quick Getting Started Guides, Manuals, and Videos) of PEAT Corporate Investments helps users to generate cash flow statements of multiple projects, obtain key performance indicators and financial metrics (NPV, IRR, MIRR, PP, DPP, ROI, and so forth), run risk simulations on uncertainty inputs, generate static and dynamic sensitivity analysis, simultaneously compare multiple projects within a portfolio, perform forecasts of future revenues and cash flow, view results in management dashboards and encrypt your model and data, among other aspects. Project Economics Analysis Tool (PEAT) is an IT solution developed to perform a comprehensive Integrated Risk Management analysis on Corporate Investments and Financial Strategies. This tool can be also connected to industry models (individual clients' needs), project management (cost and time risk), Energy and Oil and Gas investment projects and analytics, public sector analysis (KVA- Knowledge Valued Added), Leasing Vs Buy assessments, among other aspects. Therefore, companies can set up a series of projects or investment options, model their cash flows, simulate their risks, run advanced risk simulations, perform business intelligence analytics, run forecasts, optimise investment portfolios, and generate automated reports and charts, all within a single easy-to-use integrated software suite. PEAT allows users analysing and valuing real options, financial options, exotic options and employee stock options and incorporating them into decision-making models. As a fundamental part of Real Options analysis, users can also use the embedded decision trees tools for options formulation and visualisation. Consequently, decision makers can correctly do project valuations and eliminate the possibility of undervaluing the strategic value of particular projects. A Project Economic Analysis Tool (PEAT) extension for running traditional and advanced Time Series and Forecasting Analysis: Box-Jenkins ARIMA, Auto ARIMA, Basic Econometrics, Auto Econometrics, Cubic Spline, Customized Distributions, GARCH Volatility, J-Curve, S-Curve, Markov Chains, Limited Dependent Variables (Logit, Probit, Tobit), Multiple Regression, Nonlinear Extrapolation, Stochastic Processes, Time-Series Decomposition, Trendlines and more!